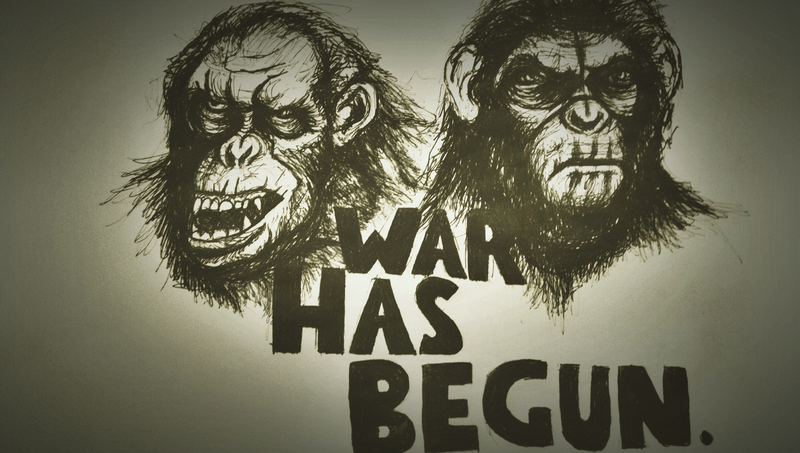 “War for the Planet of the Apes” has received mixed to positive reviews since its release earlier this month, with the majority of reviewers calling it the best film of the series so far. I had high hopes having enjoyed both of the previous films and I genuinely believed that “War” would be a great movie. Sadly, it just isn’t. It fell short of my expectations in almost every area and left me feeling more than a tinge of disappointment. The visual effects were amazing once again and both Andy Serkis and Woody Harrelson gave decent performances, but that doesn’t save it from an awful script. From a storytelling perspective this film is incredibly clichéd and lazy, with every narrative string feeling contrived and uninspired. The writing was atrocious with almost every line of dialogue being used as exposition, and the subtitles that were used to explain the apes’ sign-language verged on ridiculous. Just like in the previous film the apes make small hand gestures which are then inexplicably accompanied by complex sentences in bright yellow text at the bottom of the screen. The information that the apes are trying to convey isn’t as complicated as these subtitles would have us believe, and the subtitles themselves are distracting to the point that you really have to question what the director was thinking by including them. The first thirty minutes of the movie would’ve worked just as well without any subtitles because the gestures that the apes made combined with their facial expressions were enough to convey their emotions to the audience. The fact that the choice was made to leave the subtitles in speaks to a larger issue, which is that the writers and director Matt Reeves simply don’t respect their audience. The emotional moments in “War” are manipulative and the filmmakers expect the audience to be invested in virtue of the fact that they’ve seen the characters before, and as such they forgo significant character development in service of portraying Caesar (Andy Serkis) as some sort of messiah. The plot is completely idiotic and filled with holes that are absolutely unforgiveable if you’re paying proper attention. I won’t get into spoilers in this review – partly because I want people who haven’t seen the film to come to their own conclusions and partly because I don’t have the patience to go through each and every issue – but I will say that there are cages with no rooves and guards that may as well be blind. There are very few positives to be found within the excessive runtime of “War” and the value of said positives depends entirely on what you want going in. The best thing about the film is its stunning visuals. This film knows how to make the most of CGI and the apes look as close to real as they possibly can, given the limitations of modern technology. We aren’t at the point where they look real, but we’re pretty close. The environments are also beautiful and the barren landscape provides the sense that the world is on the edge of apocalypse. Still, how much this praise is worth is debateable and for me it doesn’t enhance the film anywhere near as much as it needs to. At the end of the day I can’t say that I liked this movie; if anything I detested it. It wasn’t just the fact that it tarnished two films that I enjoyed or the fact that the writing was laughable; it was the fact that it felt like a film that didn’t believe in its audience. Every plot point was signposted from start to finish, with Reeves beating us over the head with information as though we’re too stupid to understand even the most basic of ideas. The sad thing is that most critics proved him right by praising “War” as ‘the best film in the franchise’ – a title which only serves to devalue “Rise” and “Dawn”. Don’t believe the hype; this film is utterly vacuous. “Jurassic World” recognises its roots and embraces them. The events of “Jurassic Park” are referenced more than once, and there’s a lot of tongue-in-cheek humour relating to that film. However, the similarities aren’t always explicit, they are also present less obviously in scenes that are shot so as to remind you of the original movie. 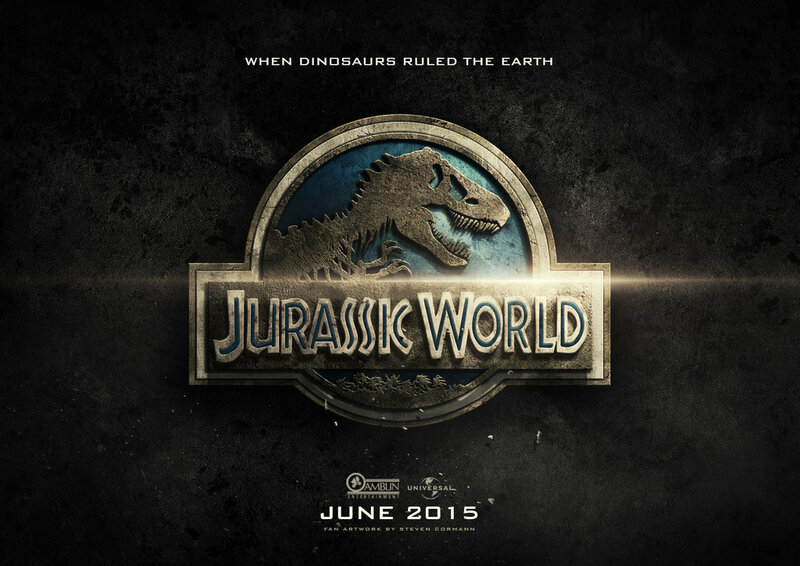 In this way “Jurassic World” acknowledges the film that bore it and captures some of its magic. What makes “Jurassic World” such a superb summer blockbuster is that it understands what made “Jurassic Park” a classic, and it makes sure to capitalise on the childlike wonder and grandiose spectacle that that film had. The film is about Owen Grady (Chris Pratt) and Claire Dearing (Bryce Dallas Howard) as they attempt to rescue the latter’s nephews from the perils of the park. Said perils come in many forms, including pterodactyls and velociraptors, but the main threat is the Indominus Rex, a genetically engineered dinosaur designed to be more dangerous than the T-Rex. As a result of its test-tube creation it can camouflage, communicate with velociraptors, and also use its front legs, which makes it almost impossible to track. The performances are great, as everyone involved seems to understand the movie that they’re involved in and work carefully to keep things entertaining. Bryce Dallas Howard and Chris Pratt are more than capable, providing enough quirkiness to keep the audience invested despite the fact that there’s no real danger in a film of this ilk. The pair are both brilliant and they trade one-liners with one another in an endearing and humorous way. For me Bryce Dallas Howard’s performance was the standout – she played a straight-talking businesswoman obsessed with control, but she still managed to be a badass when it was called for. Chris Pratt wasn’t quite as entertaining as he was in “Guardians of the Galaxy”, but his performance was still good and he did a decent job of demonstrating his ability to be an action star without the need to deliver a constant stream of jokes. Going into this film I was quite sceptical; I was excited to see it because for me it’s the first really big summer blockbuster of the year, but I was worried that it would be overly cheesy and jovial. I thought that the writers might try to capitalise on Chris Pratt’s turn in “Guardians of the Galaxy” by making his character excessively comical, because that would’ve been an easy trap to fall into, but instead they used him as an intelligent and powerful protagonist. I also had a concern about the special effects, because there seemed to be a lot of CGI in the trailer and it didn’t look like it was going to live up to modern expectations. However, my concerns were quelled almost immediately as the park was revealed and the trademark soundtrack played (or at least a version of it) – I felt like a child again. The first glimpse of the park gave me goosebumps, and having seen the landscape I was very eager to find out how the film would use it. I needn’t have worried about the special effects, because by all accounts they were awesome. The dinosaurs looked as real as they possibly could have, especially the velociraptors which all had significant personality due to their facial features and deliberate movements. The park itself wasn’t as interesting as it maybe could’ve been, but I think that the story was restrictive in the sense that we were following four main protagonists trying to escape the clutches of one antagonist. We weren’t seeing all the attractions and getting a feel for the park as a whole, but that’s because neither were the characters. We could’ve spent a little longer with the two brothers as they roamed the park before the Indominus Rex was released, but I understand the decisions that were made, because to follow the brothers for a longer period of time would’ve meant that we saw less of the dinosaur that the movie was really about. There’s a lot that the filmmakers could’ve done with the genetic engineering element, but at least they didn’t go too far and make things silly – we don’t want to see dinosaurs breathing fire or a flying T-Rex… or do we? For a film about dinosaurs living in the modern age things felt set in reality, which is really quite impressive; I genuinely believed that this dinosaur theme park could exist! I think that a lot is being held back on the genetic enhancement side of things, due to the fact that there’s a good chance that we’ll get a sequel to this movie. “Jurassic World” definitely made a conscious effort to set up its sequel, as the military wanted to use the raptors as weapons and also had aspirations of a similar nature for the Indominus Rex. It was clear that a follow up to this film would focus on that idea, with more dinosaurs being created to act as weapons, supposedly for the sake of saving human lives. There’s no telling how far this concept could go – we could end up with a movie all about dinosaurs fighting dinosaurs on the battlefield! I liked the fact that this movie carefully set up a potential sequel, because “The Lost World” and “Jurassic Park 3” were quite disappointing as a result of their lack of focus. They feel like they were made for money rather than for the sake of a continuing story, which is never a solid starting point. The sequel for “Jurassic World” has now been properly signposted, because the same ideas can be touched on and the story can flow based on the events and themes of this movie. I feel like the transition could happen in a number of ways, and I get a similar feeling to the one I had with “Dawn of the Planet of the Apes” – “Jurassic World” demands a sequel, so when it comes we won’t feel exhausted. As far as plot devices in this film go, such as the escape of the Indominus Rex and Grady’s relationship with his raptors, I was impressed and thought that they paid off really nicely. They could’ve gone wrong, particularly with the raptors because in a different film their training might’ve seemed completely ridiculous, so I was glad to see that they were treated with care. Although the Indominus Rex was visually very similar to the T-Rex, that made sense because its dominant genome came from the king of dinosaurs. Also, the Indominus Rex wasn’t engineered to be visually diverse; it was intended to have intriguing abilities that the military could exploit, such as the gift of camouflage and longer front legs. Furthermore, I was pleased that the raptors weren’t easy to control, because they were one of the great things about the original trilogy and they are one of the more frightening species of dinosaur, due to their swiftness and unpredictability. “Jurassic World” is a fantastic summer blockbuster – it knows exactly what it is and it understands which areas it needs to focus on. Although themes are touched upon, the movie doesn’t waste time trying to prod the audience with them; it isn’t pretentious and doesn’t get bogged down in its own ideas. Playing god, control, corporate greed, placing work over family, humanity’s place in the food chain, and the role of the military are all concepts that this film considers, and they play an important role in the narrative. Still, these themes aren’t what the audience has come to see; the audience will predominantly want a grand spectacle that’s a lot of fun, and thankfully that’s what “Jurassic World” is. (SPOILER ALERT) The only real problem I had with the movie was the ending. Although I enjoyed the T-Rex vs. Indominus Rex showdown, I didn’t understand why having a T-Rex running amuck was acceptable. At the end of the film Jurassic World was wrecked, but on top of that it had a giant dinosaur roaming around freely – a killing machine looking for food and thriving in its newfound freedom. I didn’t really understand why having the T-Rex loose in the park improved the situation, apart from the fact that it wasn’t as intelligent as the Indominus Rex. 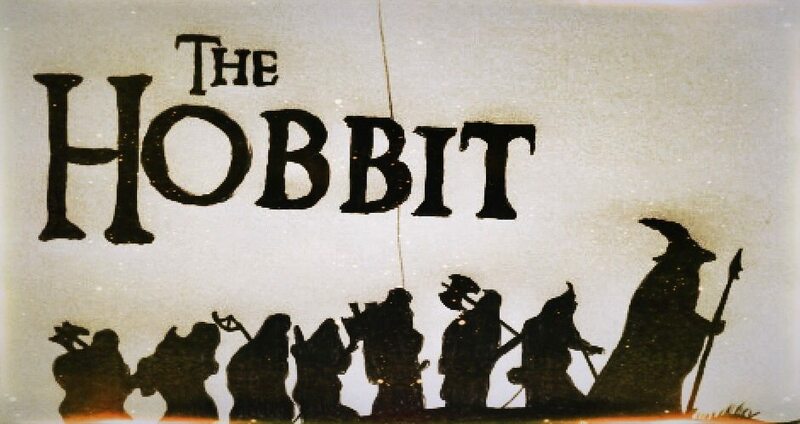 All in all, this movie massively surpassed my expectations. It was everything that a summer blockbuster should be and I feel like it understood what its audience wanted. It felt connected to the previous films without needing to rehash plot points, and it also set up a sequel properly, making a continuation of the story feel justified. The performances were good and the story was entertaining, so for me it was a really stellar movie which I’d recommend to just about anyone.